For the most elegant presentation of our products in a BarCard® or Quadrum capsules may we recommend these high-quality Coin Boxes with a silk-lined lid? 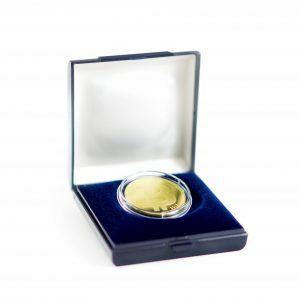 A sturdy metal frame protects the coin and thus makes it perfectly safe for storage and transportation. 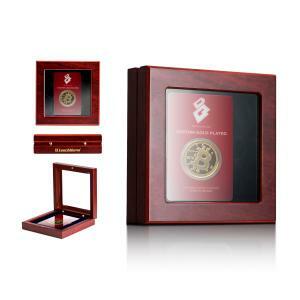 The surface of this Coin Box is soft artificial leather.